Planning to travel before the year 2017 come to an end? Why not check this current airline seat sale 2017? We can say that the latest promo offered for the flying guests are a bit of extension to previous seat sale. However, probably not everyone was able to book the previous low fares. Thus, this promo may be a welcome information for travelers who need affordable tickets for their trips. 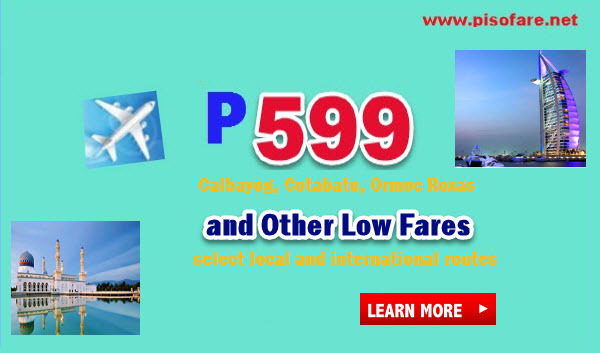 Cebu Pacific clients can still book the P599 promo from Cebu to these places: Calbayog, Cotabato, Ormoc and Roxas. Also, it is not late to buy your tickets for the promo flights as low as P799 from Cagayan De Oro to Bacolod or Tagbilaran. 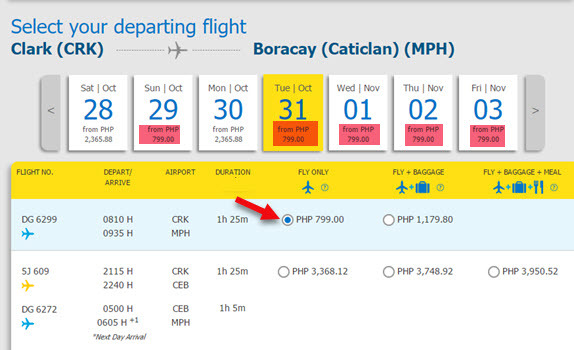 Boracay trips via Caticlan and Coron travel is still possible for only P799 from Clark or Cebu. Will you be flying to international places? As low as P1,799 tickets can be booked for flights Manila to Kota Kinabalu or Brunei or Cebu to Singapore. Just be reminded that Cebu Pacific seat sale are LIMITED. So, in case your travel date is not on promo, check other travel dates. Shared below are Cebu Pacific seat sale 2017 sample bookings to prove that this promo is real. The Cebu Pacific sale tickets can be availed by booking online at www.cebupacificair.com, buying the low fares at Cebu Pacific ticketing offices, travel agents and booking offices or calling the airline hotline at telephone numbers: (02) 702 0888 (Manila) or (032) 230 8888 (Cebu). Promo fares are good for one-way trips and cover 7 kilos hand carry bag, base fare, Web Admin Fee, taxes and fees. Cebu Pacific tickets originating from Cebu, Manila and Caticlan include the domestic airport terminal fee. Will you be bringing several bags or heavy luggage during your trip? Then, it is advisable to buy a Prepaid Checked Baggage Allowance to save on checked baggage fees. You can avail Prepaid Baggage Allowance during booking or up to 4 hours before your scheduled flight. Want to receive promo updates? LIKE and FOLLOW our Facebook: PISO FARE Ticket for more Cebu Pacific promo 2017, Philippine Airlines seat sale 2017, Air Asia promo tickets 2017- 2018, PISO FARE and travel updates!! !